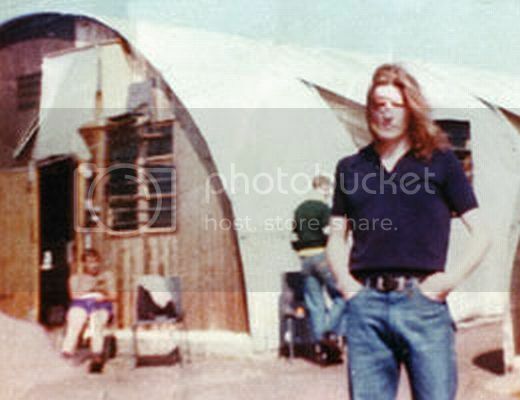 **In memoriam to the 33 years which have passed since Bobby's death, Mr Ron Lay-Sleeper has asked to post his poem which he wrote in honour of Bobby Sands during his hunger strike, and immediately after his death. The automatic clichés of driving. Dares the minotaur in its lair. Where they run through the forest. Rushing down toward Mother Ocean. From the life of the river. The river and the road. Steps do we take in false assurance. He cannot see parents, wife. The rainbow follows the storm. A martyr to the other. 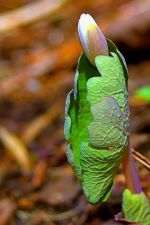 It attracts life only to die, to reseed itself. On the Big Rock Candy Mountain. Gasoline alley, back where I belong. In the steady flow of time. He lost his mind and his body died. On a smoldering peat fire. At the death of another Irish martyr? In the sun, wind, and clouds of May. As many of you know, the release of documents under the 30 year rule has occurred, and 1981 was the year covered. This means that many, many government documents pertaining to the hunger strike are included. I have attempted to post as many as I could find onto the three locations of SAOIRSE32 as current news. Some of you may also know that the Blogsome location of SAOIRSE32 is going out of the blog hosting business, and I have had to transfer the files of 8 years' worth of news over to the new Wordpress location. ...or you may simply use the search box on the new Wordpress location to find what you are looking for. The old Google site search link will only return results for the old Blogsome site until it is finally deleted. There are three locations for SAOIRSE32, but the Wordpress location is the only one I use tags with. It also has the best built-in search box. Please try there first. If you have any problems or questions, please send me an email. **I have posted this years-old tribute to Bobby by Seanna Walsh before and would like to do so again today. This day always fills me with sadness, and this is all I am going to say. "I was surprised but very honoured to come here tonight and speak at this the 20th Bobby Sands lecture. Go raibh maith agaibh don choiste chuimhneacháin as an cuireadh labhairt. We are at a crucial juncture in the current phase of the Irish struggle for a United Ireland, on the cusp of substantial electoral gains in the Southern elections,ght across Europe? Well he was very much one of 'us', an ordinary guy who loved a bit of craic, kicked a football, had a sleg and a laugh, and lapped up the sing songs and concerts we'd organise as the guitars and mandolins were pulled out to accompany the poitín voices - we'd sing and play away into the early hours. Bobby read and absorbed books hungrily - political and historical books about British involvement in our country and the resulting resistance to that involvement, as well as novels. He also showed an interest in the plight of 'the ordinary man' throughout the world and the struggle for social justice, fair play and freedom. This was reflected in his writings and poetry while on the blanket. In the early years he was almost like a sponge, soaking in all these different ideas, histories and theories. As he prepared for release in early '76, he worked hard to prepare himself physically and mentally for his return to the outside and re-involvement in the republican struggle. There was no room for doubt - he was coming out to reorganise the republican base in his area, Twinbrook, and he had a picture in his head, a plan he was determined to make true. He reorganised the army, the auxies, na Fianna and Sinn Féin, but then he took things a step further. He organised republican involvement in the tenants' associations - until then a fiefdom of the Sticks and SDLP. He pushed republicans to become involved in the everyday battles with the British Direct Rule administration and unionists on Lisburn Council. As far as he was concerned, there was so much to do and not enough time to do it. He still found time though for his singing and playing the guitar. There was one memorable night when, in the middle of one of Bobby's cabaret sessions, an IRA foot patrol came into the local drinking club and after checking a number of peoples IDs, they approached Bobby on the stage with the intention of asking him to read out a statement from the local unit - he had written it an hour previously! Somehow the Volunteer managed to misplace the statement and had only a bru card in the pocket, Bobby took this from the Volunteer and ad libbed his way through a 15-minute speech. After six short months, however, he was back inside and I was already there too, waiting on him coming back. The rules were different this time though, with the denial of political status after March 1976. Bobby was at the forefront of resistance to Britain's criminalisation policies on remand in Crumlin Road Gaol and then once sentenced, in the H-Blocks. He had been involved in writing a local weekly newssheet before recapture and he decided to continue writing for it in gaol. After a while he started writing for Republican News, soon to become An Phoblacht. He was now like a man possessed; it was his job to tell the story of every brutal assault, every sadistic attack on the naked prisoners in the H-Blocks. He also opened up communication with our women comrades in Armagh Women's Gaol and those who retained political status in the Cages of Long Kesh. The horrendous conditions in which we suffered meant nothing if the world outside of our immediate families knew nothing about them. Bobby was central to getting the word out, first of all to republicans and then to the wider community. One effect of all this letter and article writing he was engaged in was that he developed a grá for poetry. He began to scribble bits of verse, which he would recite to the wing, interspersing it amongst his song repertoire. Nothing too heavy. On one particular occasion, while we were in H6 in 1979, we received a collection of poems by the nationalist poet Ethna Carberry. Bobby was really taken with the maternal heartbreak of "An Páistín Fionn" and the blood-curdling tale of "Brian Boy Magee" that he set down and penned a letter. He got to the door that night after screws had left the wing and called to Brendan Hughes - 'Dorcha, get up to your door, wait till you hear this letter, it's a cracker, it's to your woman Ethna Carberry. I had to write to her after reading those poems'. The Dark replied, 'You may get your Ouija board out Bobby, she died 70 years ago!' You can imagine the slegging he got there. As the crisis in the H-Blocks dragged on from '79 into '80 and we went through different avenues to move the British on the Political Status issue, it became clear that we would be left with one last option - The Hunger Strike. We had talked about the final recourse to Hunger Strike since the collapse of the Cardinal Ó Fiaich negotiations with Thatcher. It seemed to us that it didn't matter what the people of Ireland thought or said, the British had but one aim and that was to smash the republican resistance both inside and out of the gaols. People began to prepare for Hunger Strike in the summer of 1980. We had been involved in a letter-writing campaign since the formation of the National H-Block/Armagh committee in the winter of '79. This was intensified in the run-in to the Hunger Strike in October 1980. We wrote to anyone and everyone of influence in Ireland, in Britain, throughout the world. Bobby was in his element. We were not allowed to receive replies, only personal letters - one per month - were allowed, so to be honest none of us knew what impact, if any, these letters had. We do know that hundreds and hundreds poured out of each block week after week, month after month. I later found out that these tiny letters had a massive impact throughout the world, carrying our message of the horrors of the H-Blocks. Yet somehow or another, at the end of a frenzied day of writing, visits debates and arguments with governors and warders and whoever else, Bobby used to be able to get up to his door after lights out and relate a yarn. Usually, this would be from some obscure novel he had read but the tale he spun would be like nothing less than a movie blockbuster as prisoners sat in the darkness; mattresses propped on the cell pipes, listening to some magical tale of good overcoming evil, the righteous oppressed throwing off the shackles of the oppressor. The hunger strike of 1980, as we all know, ended with the doublespeak and bad faith that helped the British to conquer and rule half the world. Instead of letting people's heads go down, Bobby and the rest of us on the gaol leadership bent over backwards to come to some sort of comprise with the prison governors and their allies in the NIO. They were not interested. They believed, foolishly, that republicans were beaten, that they had us on the run and it was simply a case of them holding their nerve and watching the gaol protest collapsing. How stupid were they? It became apparent to a number of us that a second hunger strike was inevitable. With Bobby leading the charge in the face of justified concerns and worries from the army leadership outside, we pressed our case. We were successful. Bobby organised for himself to be the first man on the strike, the first then to die, the two-week gap before Francie Hughes joined him giving the British space to move, to make concessions once Thatcher had her pound of flesh. At the end of his second week on the strike, he wrote to me telling me that he had put on a fine hopeful face to those around him on the wing, to his clann on the visits. But he told me he had no intention of trying to pretend anything with me. He was determined to do what had to be done and he knew that the British would show no mercy. Yet he was confident that by his actions his comrades coming behind, and a whole generation of young still unborn, would be so inspired as to ensure that his goal, his dream, his Aisling would become a reality. The rest is history. The story of the actual Stailc Ocrais was told and retold so often last year I'm not even going to try to revisit it here. Go raibh míle maith agaibh as éisteacht liom anocht. Slán abhaile." ‘THE BIRTH of a republican: from a nationalist ghetto to the battlefield of H-Block’, by hunger-striker Bobby Sands, was first published anonymously in Republican News on December 16th 1978. It was reprinted in An Phoblacht/Republican News on April 4th 1981, after Bobby had been on hunger strike for one month. The smuggled-out article, introduced as “A blanket man recalls how the spirit of a republican defiance grew within him”, is a semi-autobiographical account. 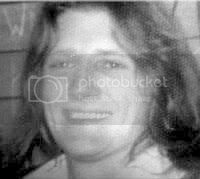 For example, although blanket men had been denied compassionate parole for the funeral of a parent, as described in the article, Bobby Sands’s mother was very much alive and, in fact, she addressed the Belfast rally held on the first day of his hunger strike, calling for support for her son to save his life. FROM MY earliest days I recall my mother speaking of the troubled times that occurred during her childhood. Often she spoke of internments on prison ships, of gun attacks and death, and early morning raids when one lay listening with pounding heart to heavy clattering of boots on the cobble-stone streets, and as a new day broke, peeked carefully out the window to see a neighbour being taken away by the Specials. Although I never really understood what internment was, or who the Specials were, I grew to regard them as symbols of evil. Nor could I understand when my mother spoke of Connolly and the 1916 Rising and of how he and his comrades fought and were subsequently executed – a fate suffered by so many Irish rebels in my mother’s stories. At school I learnt history but it was always English history and English historical triumphs in Ireland and elsewhere. My sympathy and feelings really became aroused after watching the scenes at Burntollet. That imprinted itself in my mind like a scar, and for the first time I took a real interest in what was going on. It was now 1969, and events moved faster as August hit our area like a hurricane. The whole world exploded and my whole little world crumbled around me. The TV did not have to tell the story now for it was on my own doorstep. Belfast was in flames but it was our districts, our humble homes, which were burnt. The Specials came at the head of the RUC and Orange hordes, right into the heart of our streets, burning, looting, and murdering. There was no one to save us except ‘the boys’, as my father called the men who were defending our district with a handful of guns. As the unfamiliar sound of gunfire was still echoing, there soon appeared alien figures, voices, and faces, in the form of British armed soldiers on our streets. But no longer did I think of them as my childhood ‘good guys’, for their presence alone caused food for thought. Before I could work out the solution, it was answered for me in the form of early-morning raids and I remember my mother’s stories of previous troubled times. For now my heart pounded at the heavy clatter of the soldiers’ boots in the early-morning stillness and I carefully peeked from behind the drawn curtains to watch the neighbours’ doors being kicked in and the fathers and sons being dragged out by the hair and being flung into the back of sinister-looking armoured cars. This was followed by blatant murder: the shooting dead of people in our streets in cold blood. The curfew came and went, taking more of our people’s lives. Every time I turned around a corner I was met with the now all-too-familiar sight of homes being wrecked and people being lifted. The city was in uproar. Bombings began to become more regular, as did gun battles as ‘the boys’, the IRA, hit back at the Brits. Easter 1971 came and the name on everyone’s lips was ‘the Provos – the People’s Army’, the backbone of nationalist resistance. I was now past my 18th year and I was fed up with rioting. No matter how much I tried or how many stones I threw, I could never beat them – the Brits always came back . . . I had seen too many homes wrecked, fathers and sons arrested, neighbours hurt, friends murdered, and too much gas, shootings and blood – most of it my own people’s. At eighteen-and-a-half I joined the Provos. My mother wept with pride and fear as I went out to meet and confront the imperial might of an empire with an M1 carbine and enough hate to topple the world. To my surprise, my schoolday friends and neighbours became my comrades in war. I soon became much more aware about the whole national liberation struggle – as I came to regard what I used to term ‘the Troubles’. Things were not easy for a Volunteer in the Irish Republican Army. Already I was being harassed and twice I was lifted, questioned, and brutalised, but I survived both of these trials. Then came another hurricane: internment. Many of my comrades disappeared – interned. Many of my innocent neighbours met the same fate. Others weren’t so lucky – they were just murdered. My life now centred around sleepless nights and standbys, dodging the Brits and calming nerves to go out on operations. But the people stood by us. The people not only opened the doors of their homes to us to lend a hand but they opened their hearts to us, and I soon learnt that without the people we could not survive and I knew that I owed them everything. 1972 came and I spent what was to be my last Christmas at home for quite a while. The Brits never let up. No mercy was shown, as was testified by the atrocity of Bloody Sunday in Derry. But we continued to fight back, as did my jailed comrades, who embarked upon a long hunger strike to gain recognition as political prisoners. Political status was won just before the first but short-lived, truce of 1972. During this truce the IRA made ready and braced itself for the forthcoming massive Operation Motorman, which came and went, taking with it the barricades. The liberation struggle forged ahead but then came personal disaste– I was captured. It was the autumn of ‘72. I was charged and for the first time I faced jail. I was nineteen-and-a-half, but I had no alternative than to face up to all the hardship that was before me. Given the stark corruptness of the judicial system, I refused to recognise the court. I ended up sentenced in a barbed wire cage, where I spent three-and-a-half years as a prisoner-of-war with ‘special category status’. I did not waste my time. I did not allow the rigours of prison life to change my revolutionary determination an inch. I educated and trained myself both in political and military matters, as did my comrades. In 1976, when I was released, I was not broken. In fact I was more determined in the fight for liberation. I reported back to my local IRA unit and threw myself straight back in to the struggle. Quite a lot of things had changed. Belfast had changed. Some parts of the ghettos had completely disappeared and others were in the process of being removed. The war was still forging ahead although tactics and strategy had changed. At first I found it a little bit hard to adjust but I settled into the run of things and, at the grand old age of 23, I got married. Life wasn’t bad but there were still a lot of things that had not changed, such as the presence of armed British troops on our streets and the oppression of our people. The liberation struggle was now seven years old and had braved a second (and mistakenly-prolonged) ceasefire. The British Government was now seeking to ‘Ulsterise’ the war, which included the attempted criminalisation of the IRA and attempted normalisation of the war situation. The liberation struggle had to be kept going. Thus, six months after my release, disaster fell a second time as I bombed my way back into jail! With my wife being four months pregnant, the shock of capture, the seven days of hell in Castlereagh, a quick court appearance and remand, and the return to a cold damp cell, nearly destroyed me. It took every ounce of the revolutionary spirit left in me to stand up to it. Jail, although not new to me, was really bad, worse than the first time. Things had changed enormously since the withdrawal of political status. Both republicans and loyalist prisoners were mixed in the same wing. The greater part of each day was spent locked up in a cell. The Screws, many of whom I knew to be cowering cowards, now went in gangs into the cells of republican prisoners to dish out unmerciful beatings. This was to be the pattern all the way along the road to criminalisation: torture and more torture to break our spirit of resistance. I was meant to change from being a revolutionary freedom fighter to a criminal at the stroke of a political pen, reinforced by inhumanities of the most brutal nature. Already Kieran Nugent and several more republican POWs had begun the blanket protest for the restoration of political status. They refused to wear prison garb or to do prison work. After many weekly remand court appearances the time finally arrived, 11 months after my arrest and I was in a Diplock [no-jury] court. In two hours I was swiftly found guilty and my comrades and I were sentenced to 15 years. Once again I had refused to recognise the farcical judicial system. As they led us from the courthouse, my mother, defiant as ever, stood up in the gallery and shook the air with a cry of “They’ll never break you, boys!” And my wife from somewhere behind her, with tear-filled eyes, braved a smile of encouragement towards me. At least, I thought, she has our child. Now that I was in jail, our daughter would provide her with company and maybe help to ease the loneliness which she knew only too well. The next day I became a blanket man and there I was, sitting on the cold floor, naked, with only a blanket around me, in an empty cell. The days were long and lonely. The sudden and total deprivation of such basic human necessities as exercise and fresh air, association with other people, my own clothes, and things like newspapers, radio, cigarettes, books and a host of other things made life very hard. At first, as always, I adapted. But, as time wore on, I came face to face with an old ‘friend’, depression, which on many occasion consumed me and swallowed me into its darkest depths. From home, only the occasional letter got past the prison censor. Gradually my appearance and physical health began to change drastically. My eyes, glassy, piebathed us, and tortured us to the brink of insanity. Blood and tears fell upon the battlefield – all of it ours. But we refused to yield. The republican spirit prevailed and as I sit here in the same conditions and the continuing torture in H-Block 5, I am proud, although physically wrecked, mentally exhausted, and scarred deep with hatred and anger. I am proud because my comrades and I have met, fought and repelled a monster and we will continue to do so. We will never allow ourselves to be criminalised, nor our people either. Grief-stricken and oppressed, the men and women of no property have risen. A risen people, marching in thousands on the streets in defiance and rage at the imperial oppressor, the mass murderer, and torturer. The spirit of Irish freedom in every single one of them – and I am really proud. Last week, I had a visit from my wife, standing by me to the end as ever. She barely recognised me in my present condition and in tears she told me of the death of my dear mother – God help her, how she suffered. I sat in tears as my wife told me how my mother marched in her blanket, along with thousands, for her son and his comrades, and for Ireland’s freedom. When the Screws came to tell me that I was not getting out on compassionate parole for my mother’s funeral, I sat on the floor in the corner of my cell and I thought of her in Heaven, shaking her fist in her typical defiance and rage at the merciless oppressors of her country. I thought, too, of the young ones growing up now in a war-torn situation and, like my own daughter, without a father, without peace, without a future, and under British oppression. Growing up to end up in Crumlin Road Jail, Castlereagh, barbed-wire cages, Armagh Prison and Hell-Blocks. Having reflected on my own past, I know this will occur unless our country is rid of the perennial oppressor, Britain. And I am ready to go out and destroy those who have made my people suffer so much and so long. I was only a working-class boy from a nationalist ghetto but it is repression that creates the revolutionary spirit of freedom. I shall not settle until I achieve the liberation of my country, until Ireland becomes a sovereign, independent socialist republic. We, the risen people, shall turn tragedy into triumph. We shall bear forth a nation! Lurgan man Leo Green went without food for 53 days during the 1980 hunger strike. Currently working as part of Sinn Féin's Assembly support team at Stormont, he was arrested in 1977 and sentenced to life imprisonment. He spent over 17 years in prison. Leo explained that on a personal level his biggest concern was about how his mother and father would take the news that he had volunteered to go on hunger strike. “I knew they would be supportive but I was particularly worried about the impact my decision would have on my father who had a history of stroke-related illness,” he said. Leo said the decision to begin a hunger strike was only taken after almost five years of the blanket protest by prisoners in the H-Blocks and in Armagh. “Those were five years of brutality, confinement, terrible conditions for hundreds of prisoners. Hundreds of support demonstrations took place on the outside including a significant international focus on what was happening in the prisons. And all of this had not brought sufficient pressure for a resolution,” he said. “And while I didn't think of it like this at the time, with each passing year of protest, with each wave of brutality from the prison administration, and with each deterioration in conditions, the prospect of hunger strike was increasing all the while. 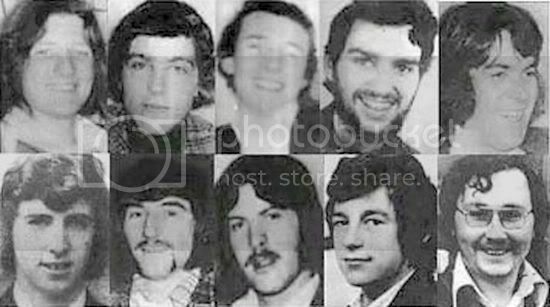 Seven republican prisoners went on hunger strike on October 27, 1980. The seven men were Brendan Hughes, Tom McFeeley, Sean McKenna, Leo Green, Tommy McKearney, Raymond McCartney and John Nixon. They remained on hunger strike for 53 days. “I spent the early few days in the wing in H4,” recalled Leo. “All the hunger strikers were then moved to a wing in H3, which was converted into a sort of hospital wing. After a few weeks there we were moved to the prison hospital,” he said. As Sean McKenna neared death the prisoners struck a deal with the authorities – only for the British government to renege on the promises made. “When the first hunger strike ended I was relieved that no-one had died. I really thought that it meant the end of the protests and a resolution. I wasn't surprised to learn about the initial messing about by the jail administration – but I thought that was to be expected and that it would pass. “Gradually it began to sink in that the Brits had no intention of working to a solution that they had sought only to defuse the growing support for the prisoners' demands. “This realisation was quite depressing, particularly as I knew it might mean another hunger strike. I knew also that the prospect that someone might die on hunger strike would now be significantly higher. “But the determination to go for a second hunger strike was high. I realised that immediately when we moved back on to the protest wings from the prison hospital. “All the ingredients that had made the hunger strike inevitable in the first instance were still there – the intransigence of the Brits, the attitude of the screws and the determination of the prisoners not to be broken. “Dozens had volunteered to go on hunger strike. And this remained the case even after each death during the 1981 strike. Leo reflected on the huge changes in the political situation that have taken place over the past decades. “It was certainly a bit strange coming to work here in Stormont initially. And presumably it was the same for other Sinn Féin people who had experienced imprisonment,” he said. “The situation in the North has changed enormously and it continues to change. Change never comes easy or quickly enough. But there is no doubt it is happening. The Orange State as we knew and experienced it has gone. “This is not to say that everything is okay. Far from it – much more change is needed. But change has to be worked at, it doesn't happen of its own accord and it doesn't always come in the form we would like. Leo said that the key lesson learned by republicans during the period of the hunger strikes was that “to get what you want politically you have to be determined, resilient and have an ability to adapt”. “What brings delivery is resilience, determination and hard work. On the day the second hunger strike ended we knew we hadn't lost. “We had secured the key demand on the right to wear our own clothes. That opened up a space within the prisons to make further progress. And within a short space of time, the rest of the five demands followed. The Vice-President of the European Parliament, Roberta Angelilli MEP, is to launch a book about Bobby Sands today (Thursday) at the European Parliament Offices in Rome. Il Diario di Bobby Sands: Storia di un Ragazzo Irlandese is the translation by Italian journalist Silvia Calamati of a book first published in Ireland a few years ago by Denis O’Hearn and Laurence McKeown. That book, I Awoke This Morning – A Biography of Bobby Sands for Younger Readers, has also been published in Irish: Déirigh Mé ar Maidin: Beathaisnéis Roibeaird Uí Sheachnasaigh do Léitheoirí Níos Óige. Danny Morrison, Secretary of the Bobby Sands Trust, is pleased the hunger strike continues to be acknowledged on the international stage. “Once again we see international recognition of, and respect for, the struggle by Irish political prisoners, in particular the hunger strikers and that of the name Bobby Sands,” he said. “Their sacrifice has stood the test of time and what they came through in the H-Blocks of Long Kesh is an indictment of successive British governments. Silvia Calamati will be appearing in An Chultúrlann, Falls Road, on July 31, as part of Féile an Phobail. She will be launching Scéalta Ban Ó Thuaisceart na hÉireann, an Irish language version of her book, Women’s Stories from the North of Ireland.